Despite advancements by women in many businesses, the automotive industry continues to be mired in gender imbalance. Certainly, advancements have been made in the last 10 years, but there is still plenty of room for further change. Automobile dealers can and should continue to step up and be leaders of change to create a more equitable way to serve their marketplace, which is 50 percent female. Certainly, there have been visionaries and mentors who hired women long ago. Mary Barra started at GM at age 18 in 1980. She held various engineering and administrative positions and executive roles. In 2014, Barra took the helm at General Motors (U.S) and became the first woman CEO of a major auto manufacturer. The Dealerships: Where are the Women? 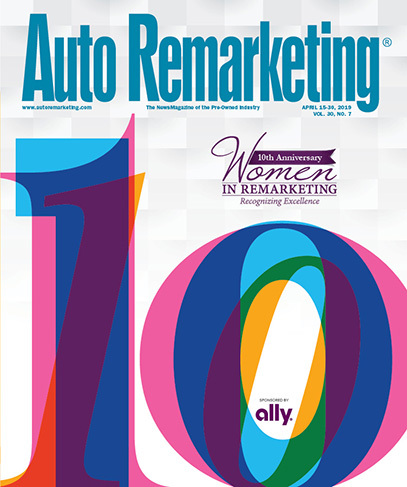 According to CNW Research, women own a mere 2.8 percent of all dealerships. Women hold a quarter of the jobs in the automotive industry, with nearly 57 percent of those jobs being clerical and office positions. At dealerships, just an estimated one in ten sales positions are held by women If you include front line management, sales and service advisers, that figure drops to only 7 percent women. What are the possible causes for this imbalance? Gender imbalance exists in other sectors. In our industry, there isn’t a track record for recruiting women. In a study by Deloitte in 2010, over half the respondents indicated their dealership did not have active programs for employing more women. Added to this is a lack of “family-friendly” cultures and retention programs. One thing is certain; the imbalance is not because women cannot sell big ticket items. A study by Commercial Real Estate Women’s Network found that women represent 43 percent of the real estate industry. And it isn’t because women don’t want to buy from women. In fact, 47.3 percent of women surveyed by CNW Research in 2010 said they would prefer to buy a car from a women. Despite the fact that women make up half of the buyers, the industry continues to sell cars as if they were power tools. Men in trucks, cars as status symbols and other stereotypes about cars and their buyers, still fill magazines and television. Automobile advertising historically has treated women as weak and incapable. Today’s women are savvy consumers who research their choices, but are at times are treated insignificantly. Old habits can be hard to break, but the changing demographic of car buyers is propelling a shift in attitudes. A study by University of Michigan’s Transportation Research Institute found that, beginning in 2010, women drivers outnumbered men (105.7 million to 104.3 million, respectively). Women make up half of car buyers and influence as much as 80 percent of auto sales. In the United States, 500,000 women will be in the market for a car within the next three months. According to the 2015 U.S. Women’s Car Dealership Report one third of women report being nervous, overwhelmed or apprehensive when buying a car. Furthermore, a full three-quarters of women report that they are misunderstood by car marketers. So, despite the huge contribution by women to annual sales figures, much of this important market segment remains underserved and underappreciated. The early adopter dealerships will reap the rewards of adding new programs to better serve their female customers. The statistics regarding women buyers show there is plenty of room for improvement. Fortunately, there are visionaries who seek to make positive changes in the automotive industry. Nissan’s global marketing chief Andy Palmer, says that the “empowered female” is at the forefront of their consumer marketing efforts. “I’m overwhelmed at the sheer number of women in great roles and positioned to make a change (in the automotive industry),” says Subi Ghosh, executive vice president at Dealer Authority. “As women are working their way up and having more of a voice in this industry, we're seeing incredible creativity, innovative methods and unique management techniques of women in dealerships that are shaping the industry's history. “In five years, we'll look back on this conversation and revel as to how far we've come in such a short time,” she added. In 2009, Jennifer Moran opened Carter Motors Group in Ballard Washington. Despite the recession, she became the number one dealer for new-car sales in the state within a few years. She attributed her success to adopting “Why Buy Messaging,” a concept that assumes people don’t buy what you do, but why you do it. The dealership created a Carbon Neutral program, planting trees to offset the carbon footprint of new-car sales. Moran’s success outlines the fresh thinking that can happen when women step in and offer alternative thinking. Over the years, several networking groups have formed to allow women in the auto industry to share and promote ideas, best practices, friendships and do business. One such group, Women in Automotive, is having their first conference in June 2015. The future of the automotive industry is full of promise. Industries that embrace change and diversity take on new energy. This energy powers new ideas that energize and attract a new way of doing business. Men and women in leadership, working to bring more women and minorities to the dealership as executives and managers, sales advisers and shoppers will have a positive impact today and shape a bright future for tomorrow.